Max von Burton has some tale to tell, but we only know one small part. 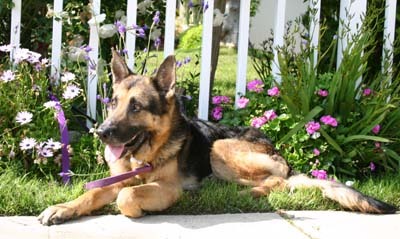 We know just by looking at Max that he is a very high quality German Shepherd bred from German import lines. 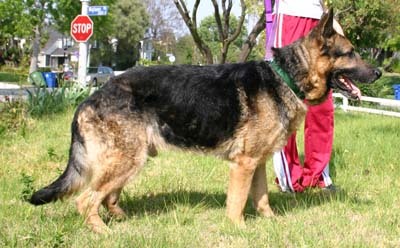 He has the stocky body, large bones and the typical massive head of the German import. Max is 6 years old. 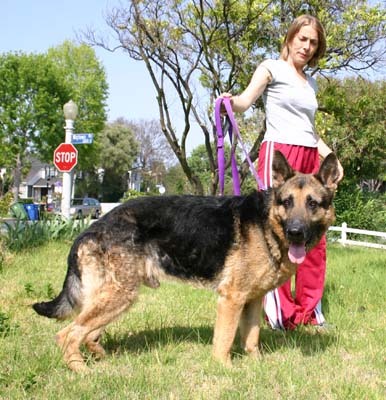 He has a wonderful temperament and is the most devoted guy you could imagine. 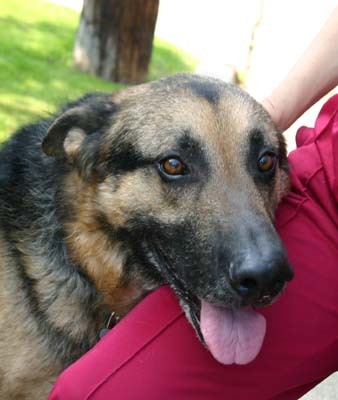 If you are ready to be completely adored, Max would be a good choice for you. 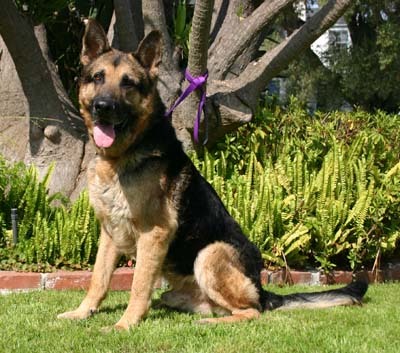 This magnificent dog was found locked in a shack in the Crenshaw area. He was fed rotten food found by a homeless man who claimed to be a breeder. Fortunately, a film crew was in the area shootimg and when they got a glimpse of Max, they knew it was a case of horrible neglect. Thank goodness they immediately called animal control. Max finally got a break in his life. His guardian angel was part of the film crew. She was there the minute he became available at the shelter. She has made sure that Max has the best medical care. He has already gained 12 pounds. He should be about 90 pounds because of his large bone structure. 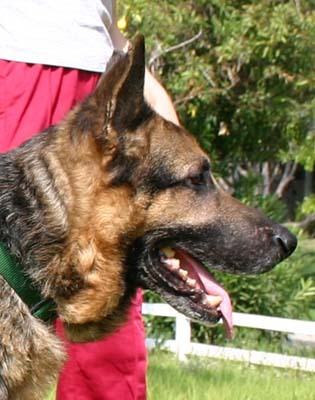 Max loves to play; his veterinarian gave him a soccer ball that he loves to carry around in his mouth. 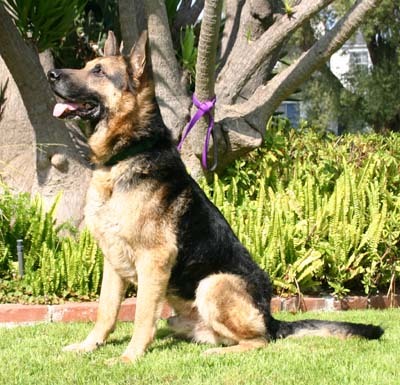 Max is house trained and knows his basic commands. He is very smart and learns quickly. He even picked up how to use the doggy door immediately. He lives with some bossy Boxers and is very tolerant. Max is so loyal and devoted. He always remembers a face and greets his friends warmly. 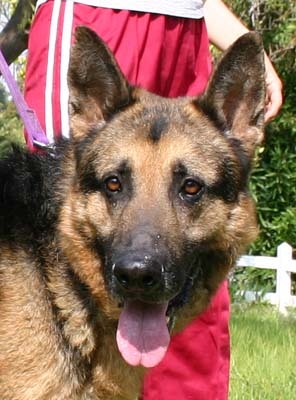 Max deserves a very special family who will be so greatly rewarded by his big heart, his forgiveness and his devotion.